The aerospace sector directly employs 120,000 people in the UK, delivering high value jobs for a highly skilled workforce, and supports a further 118,000 jobs indirectly. With production rates rising around the world and 2016 setting new records for aircraft deliveries, UK aerospace output has grown by 39 per cent since 2011, with annual turnover now reaching nearly £32bn. 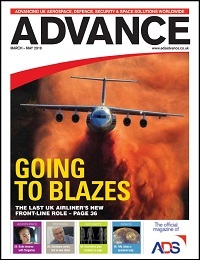 The positive story told by the figures set out in this ADS Outlook Report show the benefits achieved in recent years by a strong partnership between the industry and Government, with £3.9bn of joint funding in the Aerospace Technology Institute supporting cutting edge technological innovation that keeps the UK aerospace sector a global leader in its field. 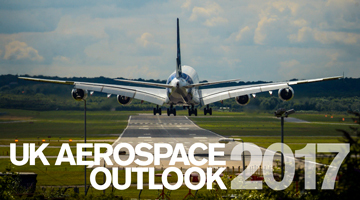 There are challenges ahead for both the biggest companies in the sector and the many successful companies in the UK that make up the aerospace supply chain. Whether meeting customer demands for ever more advanced and efficient aircraft at competitive prices, or addressing the growing challenge from overseas competitors who recognise and covet the high value and long-term jobs associated with the sector, we cannot afford to be complacent. As a sector that achieved exports of nearly £28bn in 2016 and looks to success in overseas markets to drive further growth, we also face the uncertainties associated with our exit from the European Union. In the years ahead we will continue to work closely with the government and our partners both in the UK and in the EU to make sure the aerospace sector’s priorities and concerns are given due consideration.